Some Wondrous Magic Items From The 5th Edition Dungeon Master's Guide! The Dungeon Master's Guide for the 5th Edition of Dungeons & Dragons comes out in December, but you can check out some magic items from the DMG right now. Loot! The original November release date for the 5E DMG got bumped back to December 9 because Wizards of the Coast wanted more editing time (and it's hard to argue a few weeks' wait isn't worth a better book). 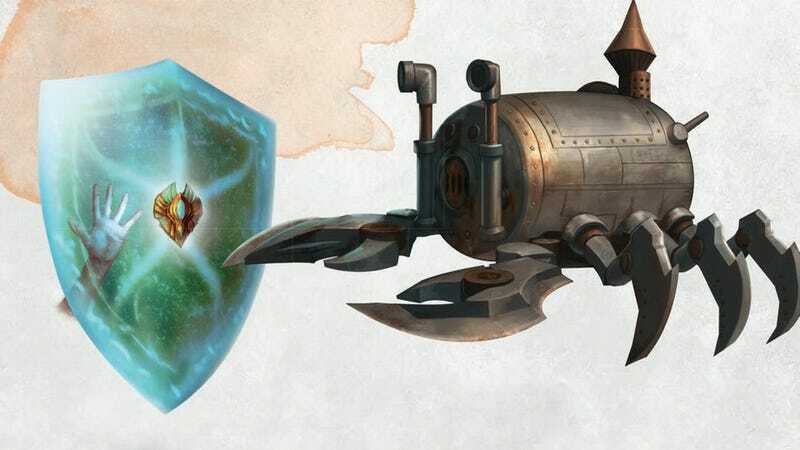 Touted as a hacker's guide to D&D, the Dungeon Master's Guide will include alternate rule systems, magic items, encounter and adventure design guidelines, and presumably quite a bit more we don't know about yet. These exclusive preview pages show off some magic items you might find moldering in some forgotten tomb (or gleaming on the wall of Ye Olde Magic Itemme Shoppe, if that's more your style).